Attention: Please read the following information carefully before using the NYHQCME.ORG web site. 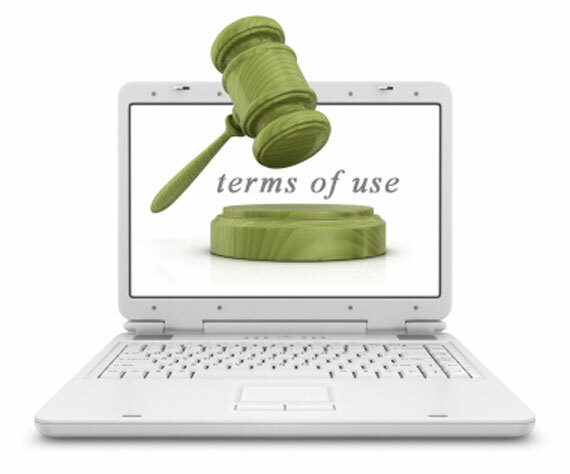 Use of this web site indicates that you accept these terms. NYHQCME.ORG authorizes you to view and access the materials at this web site only for your personal, non-commercial use, provided that you retain all copyright and other proprietary notices contained in the original materials on any copies of the materials. You may not modify the materials on NYHQCME.ORG in any way or reproduce or publicly display, perform, or distribute or otherwise use them for any public or commercial purpose, except as expressly permitted. For purposes of these Terms, any use of these materials on any other web site or networked computer environment for any purpose is prohibited. The materials on NYHQCME.ORG are copyrighted and any unauthorized use of any materials from NYHQCME.ORG may violate copyright, trademark, and other laws. If you breach any of these terms, your authorization to use NYHQCME.ORG automatically terminates and you must immediately destroy any downloaded or printed materials. All screens, including graphics and text elements displayed on this web site are protected by Copyright 2000- NYHQCME.ORG, unless otherwise specified. All rights reserved. The NYHQCME.ORG web site may from time to time electronically refer or connect users to third-party publications. Such publications may contain copyrighted material which remains the property of their respective owners. 1. The document may be used for personal, non-commercial informational purposes only. If appropriate in your professional judgement you may use material from NYHQCME.ORG with your clients. 3. Any other use or reproduction requires express written consent of NYHQCME.ORG. All other rights reserved. You are prohibited from posting or transmitting to or from NYHQCME.ORG any unlawful, threatening, libelous, defamatory, obscene, pornographic, or other material that would violate any law. NYHQCME.ORG may, but is not obligated to, monitor or review blog areas where users transmit or post messages or communicate with each other, including but not limited to chat rooms, blogs, electronic mailing lists or other user forums, and the content of any such communications. NYHQCME.ORG, however, will have no liability related to the content of any such communications, whether or not arising under the laws of copyright, libel, privacy, obscenity, or otherwise. Links to third party web sites on NYHQCME.ORG are provided solely as a user feature to you. If you use these links, you will leave NYHQCME.ORG. NYHQCME.ORG attempts to review third party sites however does not control and is not responsible for any of these sites or their content. Thus, NYHQCME.ORG does not endorse or make any representations about them, or any information, products or materials found there, or any results that may be obtained from using them. If you decide to access any of the third party sites linked to NYHQCME.ORG, you do this entirely at your own risk. Anyone linking to NYHQCME.ORG must comply with the following and all applicable laws. 2. May link to, but not replicate, NYHQCME.ORG content. 3. Should not imply that NYHQCME.ORG is endorsing it or its products. 4. Should not misrepresent its relationship with NYHQCME.ORG. 5. Should not present false information about NYHQCME.ORG site content, products or services. 6. Should not use the NYHQCME.ORG logo without permission from NYHQCME.ORG. General Disclaimer:The materials provided on the NYHQCME.ORG website are provided without any warranties of any kind including warranties of merchantability, fitness for a particular purpose, or non-infringement of intellectual property. NYHQCME.ORG further does not warrant the accuracy and completeness of any submitted materials on NYHQCME.ORG. NYHQCME.ORG may make changes to the materials on NYHQCME.ORG at any time without notice. NYHQCME.ORG makes no commitment to update the materials on NYHQCME.ORG. Information published on NYHQCME.ORG may refer to programs or services that are not available worldwide. Applicable law may not allow the exclusion of implied warranties, so the above exclusion may not apply to you. The information contained in this web site is subject to change without notice. NYHQCME.ORG cannot accept responsibility for any inaccuracy within the pages on this server or its external links. The company has the right to change directory structure or remove pages without any notice. All efforts have been made to locate and identify the copyright holders of all copyrighted materials. In the event of any questions arising from the use of materials on this server, please send your questions to the webmaster. The articles contained in NYHQCME.ORG are for educational purposes only. NYHQCME.ORG attempts to select authors who are knowledgeable in their fields. However, NYHQCME.ORG does not warrant the expertise of any author in a particular field, nor is it responsible for any statement by such authors. The authors whose articles and work are contained in, and appear on this web site, are solely responsible for their accuracy. The opinions expressed in the content that appears on NYHQCME.ORG are those of the authors, and do not necessarily reflect the opinions of NYHQCME.ORG. NYHQCME.ORG does not provide direct medical advice to any user and cautions that use of materials on the website of NYHQCME.ORG is not a substitute for consultation with a qualified physician. NYHQCME.ORG will limit its comments to general query responses and the direction of users to other appropriate information sources. Limitation of Liability:In no event will NYHQCME.ORG, or other third parties mentioned on NYHQCME.ORG be liable for any damages whatsoever (including, without limitation, those resulting from adverse outcomes, lost profits, lost data or business interruption) arising out of the use, inability to use, or the results of use of this site, any web sites linked to this site, or the materials or information contained at any or all such sites, whether based on warranty, contract, tort or any other legal theory and whether or not advised of the possibility of such damages. If your use of the materials or information from this site results in damage or adverse outcomes, you assume all costs and responsibilities thereof. Applicable law may not allow the exclusion or limitation of incidental or consequential damages, so the above limitation or exclusion may not apply to you. With respect to information represented on this website, NYHQCME.ORG makes no warranty, expressed or implied, including the warranties of merchantability and fitness for a particular purpose, or assumes any legal liability or responsibility for the accuracy, completeness, or usefulness of any such information. The publication of advertisements in NYHQCME.ORG does not constitute an endorsement or guarantee by NYHQCME.ORG of the quality or value of the advertised services or products or of the claims made for such services or products. Reference herein to any specific commercial products, process, or service by trade name, trademark, manufacturer, or otherwise, does not necessarily constitute or imply its endorsement, recommendation, or favoring by NYHQCME.ORG. The New York Hospital Queens logo is a Trademark of The New York Hospital Queens. All other product names and company logos published herein remain the trademarks, as applicable, of their respective owners. Warranties:The content of this web site is provided "as is" without warranty of any kind, either express or implied, including, but not limited to, the implied warranties of merchantability, fitness for a particular purpose, or non-infringement. references to other persons, including corporations, their services and products, are provided "as is" without warranty of any kind, either expressed or implied. In no event shall NYHQCME.ORG be liable for any special, incidental, indirect or consequential damages of any kind, or any damages whatsoever resulting from loss of use, data or profits, or adverse outcomes, whether or not advised of the possibility of damage, and on any theory of liability, arising out of or in connection with the use or performance of this information. While NYHQCME.ORG makes every effort to ensure the accuracy of materials presented within the NYHQCME.ORG website., the user is cautioned: NYHQCME.ORG could include technical inaccuracies or typographical errors or graphical distortions. Changes are periodically added to the information herein; these changes will be incorporated in new editions of this web site. NYHQCME.ORG may make improvements and/or changes in the information, graphic(s), product(s) and/or program(s) described or displayed in this web site at any time. NYHQCME.ORG makes no representation that materials on NYHQCME.ORG are appropriate or available for use outside the United States, and access to them from territories where their contents are illegal is prohibited. You may not use or export or re-export the materials on NYHQCME.ORG or any copy or adaptation in violation of any applicable laws or regulations including without limitation U.S. export laws and regulations. If you choose to access this site from outside the United States, you do so on your own initiative and are responsible for compliance with applicable local laws. These Terms will be governed by and construed in accordance with the laws of the United States without giving effect to any principles of conflicts of laws.